Sewn Goods - Abigail Kokai Art. Quilt. Story. Abigail Kokai Art. Quilt. Story. 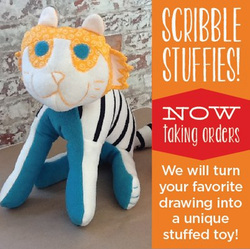 In collaboration with Scribble Arts Studio (Savannah, GA), you can have your child's artwork - or your own scribble drawing turned into a stuffed animal. 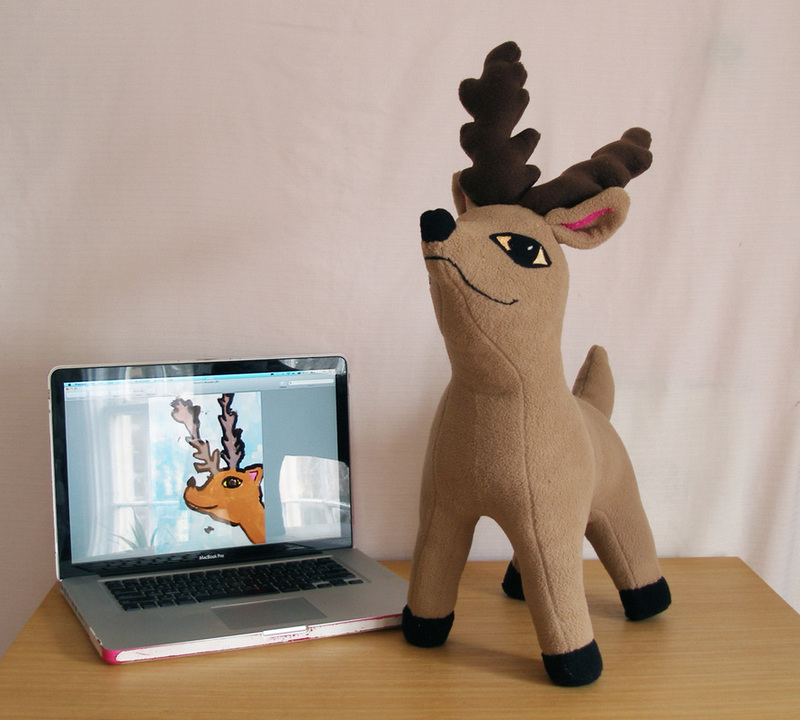 Place your order through Scribble Arts Studio or talk to me, and I'll be the masterful maker of your soft form stuffed doll! No matter what I make, it all stems from a deep appreciation and respect for quilts. Quilts are more than fabric and thread, they are cultural artifacts. The quilt object signifies much about a person, family, community, and identity. I take great pride in continuing this time honored tradition for you. Backing fabric (cotton) and borders (cotton) are included. Inquire about pricing for cotton or wool batting and/or specialty fabrics. Any surface embellishment such as embroidery, applique, painting, illustration, etc. will be charged hourly, $10/hour. For example, a throw-size quilt (approx. 45" x 72") would be 15 quilt blocks x $10 each = $150 + $20 for machine quilting = $170 total. Please contact me with any inquiries/orders. Thank you!